Conservation for archives, libraries, art, and museums is the application of specialized techniques to examine, document, and treat physical objects. It involves direct inspection, analysis, and/or direct physical and chemical interventions to address problems of function and/or aesthetics - i.e. the object does not perform well and is at risk of further damage through use, or has some physical mark or distortion that interferes with the viewer’s understanding or appreciation of the object. Conservation elsewhere in the Smithsonian can also mean programs for scientific research promoting conservation of populations, species and habitats. We conserve the collections of the Smithsonian Institution Archives (diaries, letters, field books, maps, photographs, and etc. 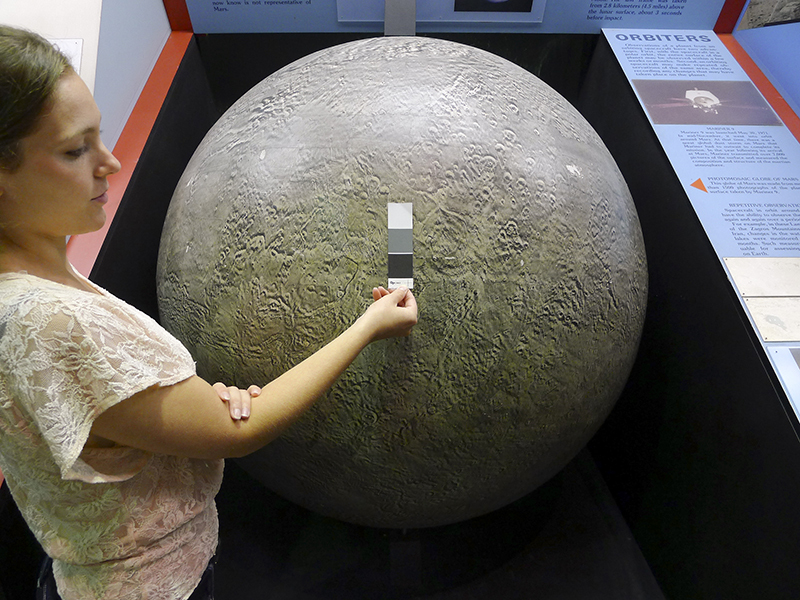 ), and are also available for consult by other units across the Smithsonian to support their collections care work. We advise on condition issues, provide technical analysis, educate staff, and collaborate by creating documentation, preparing objects, and performing treatment on collections requested for in-house and external loans for exhibition. Below are links to case studies highlighting conservation work at the Archives. We also regularly post on the Archives’ blog, The Bigger Picture. Preservation Photocopying – The Archives conservators review standards for making toner-based prints to stand the tests of use and time, and demonstrate the problems that can result if protocols are not followed. Saving the Bison Enlargements – The Archives conservators examine and develop a treatment plan for a pair of unusual objects —photographic enlargements of American bison mounted on wooden stretchers. 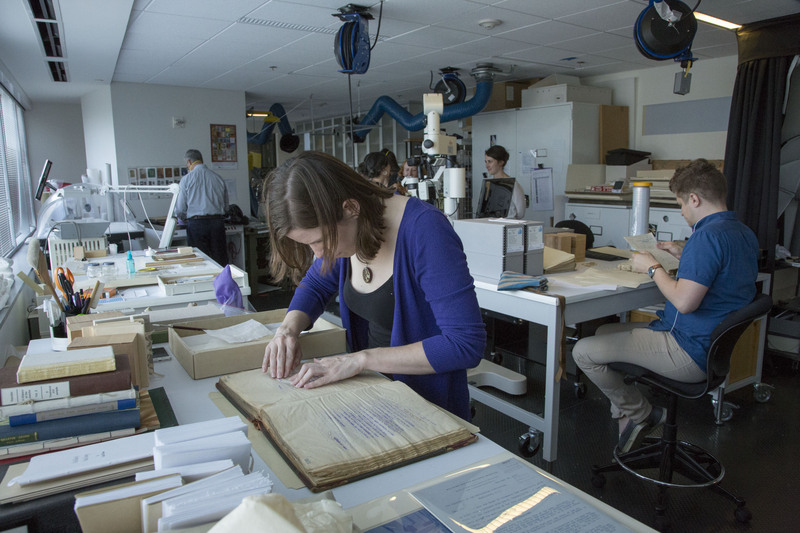 We support research across the Smithsonian and the conservation field by hosting Postgraduate Fellows in Conservation and Smithsonian Affiliations’ Visiting Professionals who research the permanence and stability of archival objects and/or conservation treatments. Fellows may focus on the Archives’ collections as research material when ethically appropriate, and also may design sample model sets for experimentation, often in collaboration with the scientists and technology at the Smithsonian’s Museum Conservation Institute. Research projects help advance the Archives’ understanding of naturally-aged and vulnerable permanent collections, as well as help to predict possible outcomes of treatment on these collections in the future. Our contributions can be seen on the Publications page. Many of the Archives’ staff participate in professional organizations. Professional engagement serves the motto of the Smithsonian, “increase and diffusion of knowledge”, as well as offers the staff opportunities for continuous learning and networking with our peers and future professionals. If you are interested in preservation and conservation as career, you may find these organizations and websites of interest.